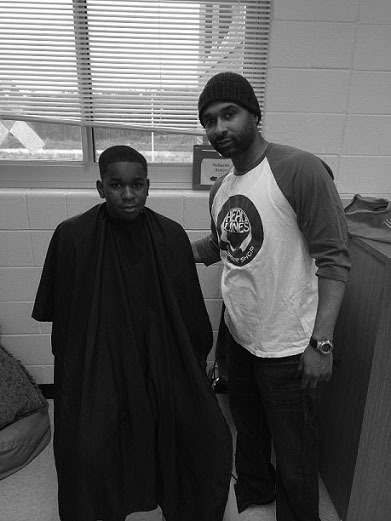 Headlines Barbershop participated in a community service event to celebrate 2 young men who made the honor roll. The Gentlemen’s League organized the event. The Gentlemen’s League is an organization devoted to encouraging “at – risk” minority boys to excel in school. Headlines Barbershop’s participation in this “give back” event is just one in a series of events in an initiative that the barbershop started last year. The purpose of the initiative is to give back to the Charlotte community.